Caption slip reads: "Photographer: Monte. Date: 06-05. Assignment: Israel Women's Army. 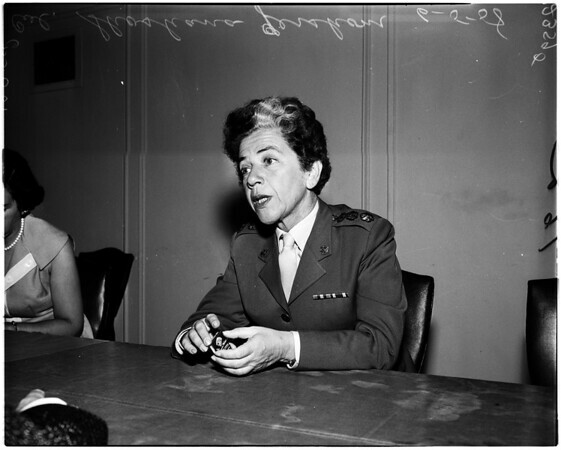 25-26-15-16: Colonel Shoshana Gershom, Commanding Officer at "Chem" which is Women's Army of Israel".